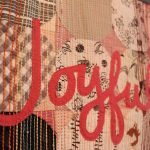 This weekend I went to the #OHCraft Sew-in, which is an awesome, low key, annual retreat for crafters across the state. It’s such a nice weekend and was beautiful with the fall weather. I’ll be honest, I spent most of the time sewing, and did not really make the most of my access to the beautiful Appalachian scenery! However, I finished three tops that had been languishing in the WIP shelf for over a year! 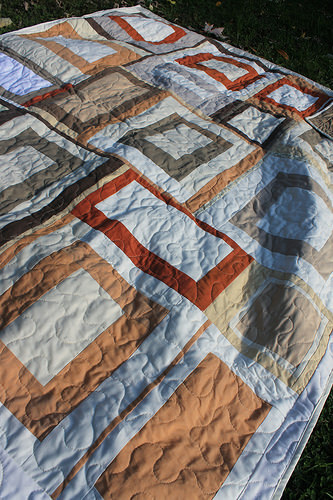 Now I have a giant pile of quilts that need basted and quilted. That is going to be my goal for the finish along: To finish them by the end of the year! Yikes! 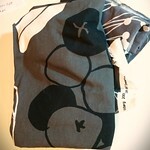 Lucky a new bolt of Warm and Natural just arrived in the mail! I keep trying to find a batting I like more than Warm and Natural, but I come back to it every time. This is my third 40 yard bolt! I feel like that is some kind of milestone. I also want to set the goal of finishing the Cardinal quilt this month! That’s my goal for October for A Lovely Year of Finishes. Here is the link up to all the folks who are part of the finish along! 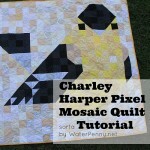 I have something of a tutorial up for my Charley Harper Mosaic quilt here. 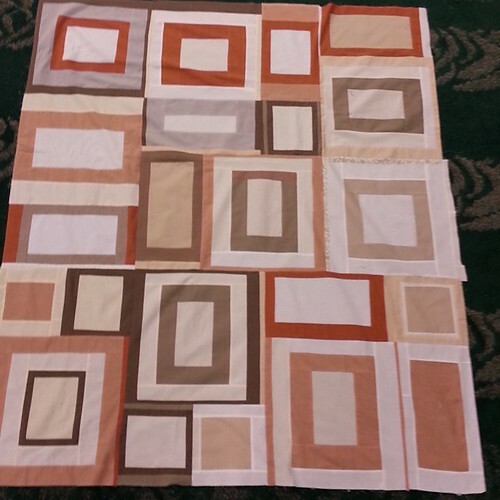 I might decide to add another row of neutrals across the top – it’s not feeling quite balanced to me. 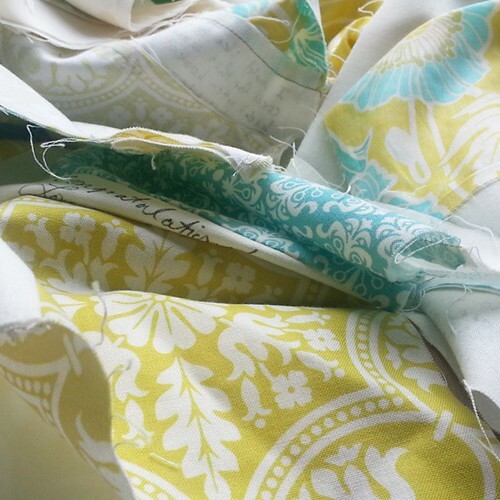 I don’t want to get wishy washy with this quilt and never finish it like my Goldfinch quilt though! 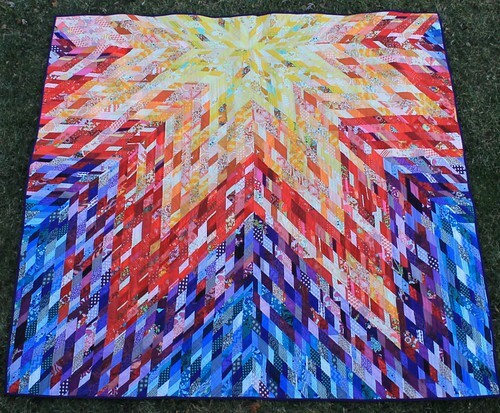 This one is a baby quilt – it’s more of a toddler size. The momma needs to have this baby so I can put the name on it! Geez get to work momma! 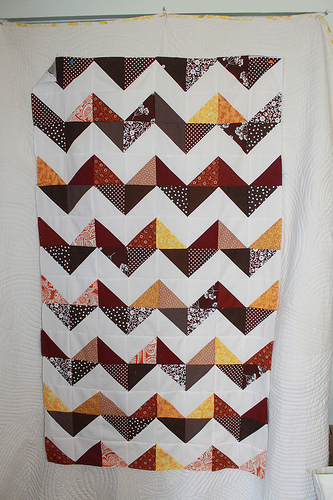 Pretty sure this wonky frames quilt will end up for sale in my etsy shop – which is currently empty. 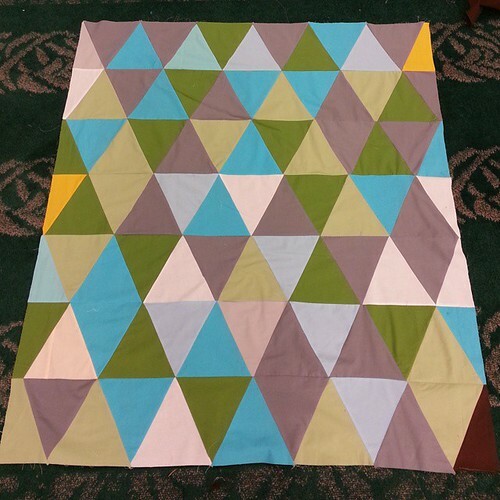 I have the backing for this quilt made – I have a sort of tutorial here! 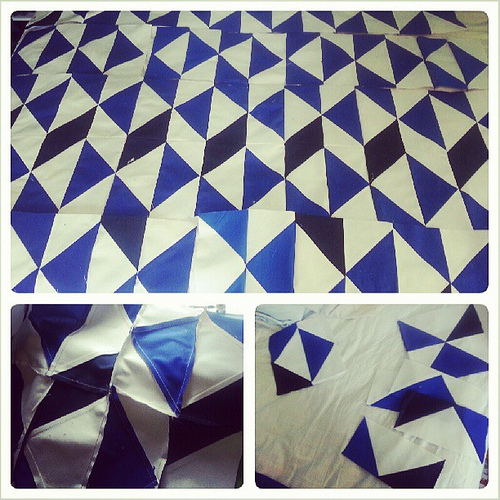 Now I just need to quilt it. 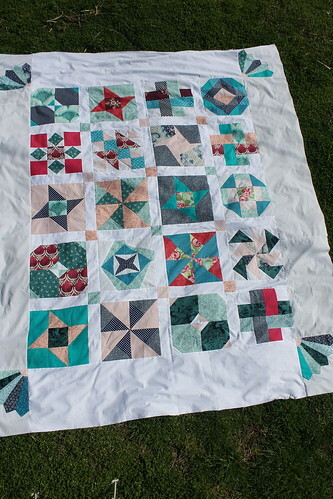 I think I’m going to do the batting in three parts – the first time I’ve done that, but with all the tiny pieces this quilt is intimidatingly heavy! My Mad Farmer’s Medallion needs one more row and has been waiting since May! This poor thing has been waiting since March 2012….yikes! 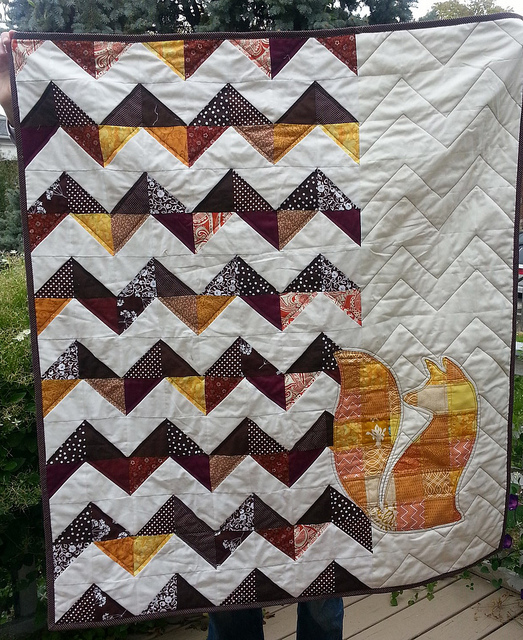 I wanted to do feather quilting on it, and so was waiting until I learned how to do feather quilting. I did manage to learn feather quilting, so nothing stopping me now! 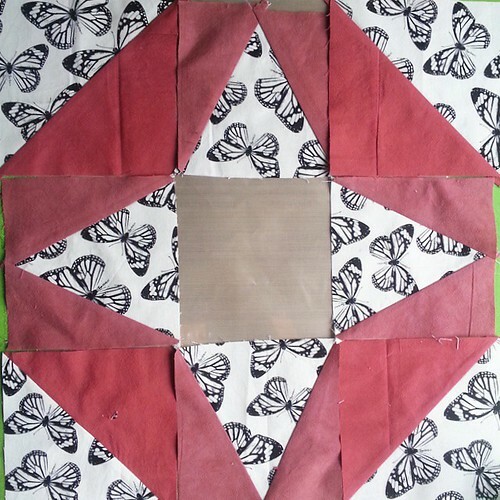 Also I started a new top – which I would like to get finished to use as a Christmas gift. 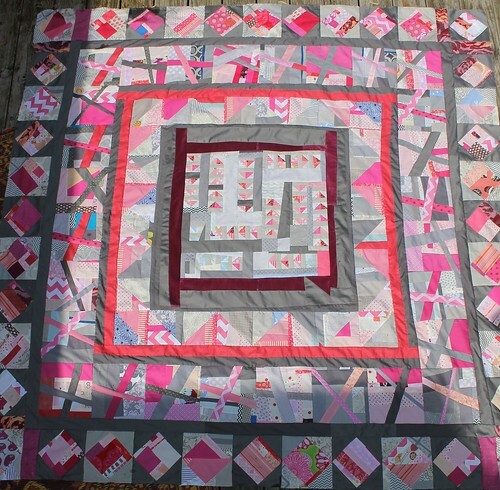 The blocks are all almost ready to assemble – I just have to decide what I want to put in the middle of the blocks and then a layout for them. So why not add it to the list? 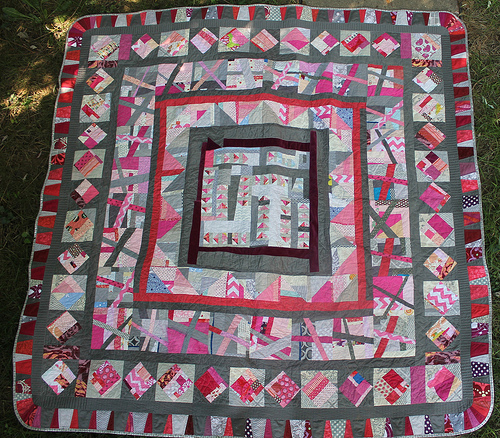 Also I need to finish this signature quilt – a custom order. Oh and because I need another thing, I just got this pattern and am going to make a diaper bag – I have the fabrics picked out, I think? Ok, I’m done with this silly list. Here is my link up! 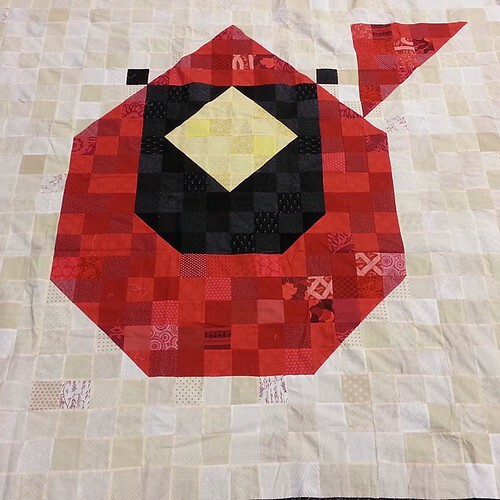 Love that Cardinal quilt. 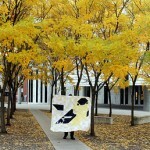 I want to make the Chickadee from that mural, too. What a great list! Good luck with these! 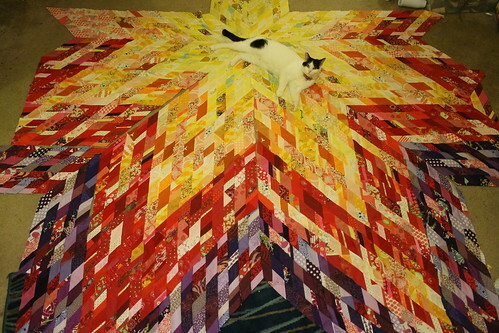 All of your quilts are so great! !